Hello and welcome to the Ginger Peach Studio! I am super excited and here’s why. This is my first official blog post. Numero uno. I’ve been wanting to do this for a long time because I love to sew and I absolutely ADORE the online sewing community. As a student of Lauren Dahl’s Pattern Workshop I have had the privilege of not only expanding my network of online sewing friends recently, but I also have the wonderful opportunity to see patterns my classmates are putting out before the rest of the world does. It’s all so exciting! 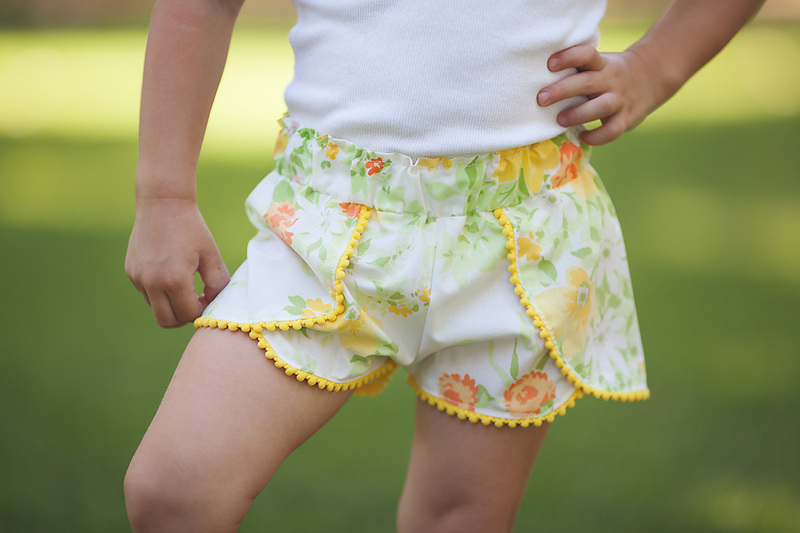 The second I saw the tester call for Coachella Shorts I had images of the little girls in my life frolicking around on the grass playing in them. I knew instantly that wether or not I was chosen to test the pattern that many, many pairs of these shorts would pass through the needle of my sewing machine. They just looked too perfect for the sweltering, humid, 100+, mid-summer California days. What luck that I was selected as one of the lucky few to get first crack at this awesome pattern. 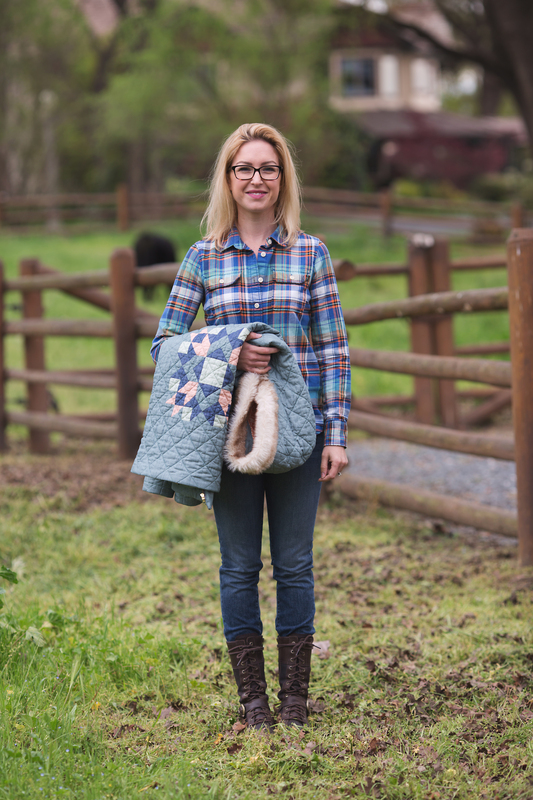 Mandalynn of Striped Swallow Designs really hit it out of the park with her first pattern release. One of the most important lessons I have learned this year in my creative life is that a design/pattern does not have to be complicated or difficult to be great. This pattern was a phenomenal reminder of that lesson. It is a great pattern for all skill levels, beginners and experts alike. If you are new to sewing and want to make something adorable for your daughter, niece, granddaughter, etc., this is the perfect pattern. If you are an advanced sewist and you want to make something you can complete during nap time, it’s instant gratification, and you can put it on her right when she wakes up. I choose two different vintage pillowcases acquired at my favorite local thrift store to make every pair of shorts you see here. That’s right. Two pillowcases made 5 pairs of shorts and honestly I probably could have gotten one more pair out of them. Which is to say, this pattern requires very little fabric and another reason why I think it is awesome. All trim was purchased at Joann. The pom pom trim can be found here. 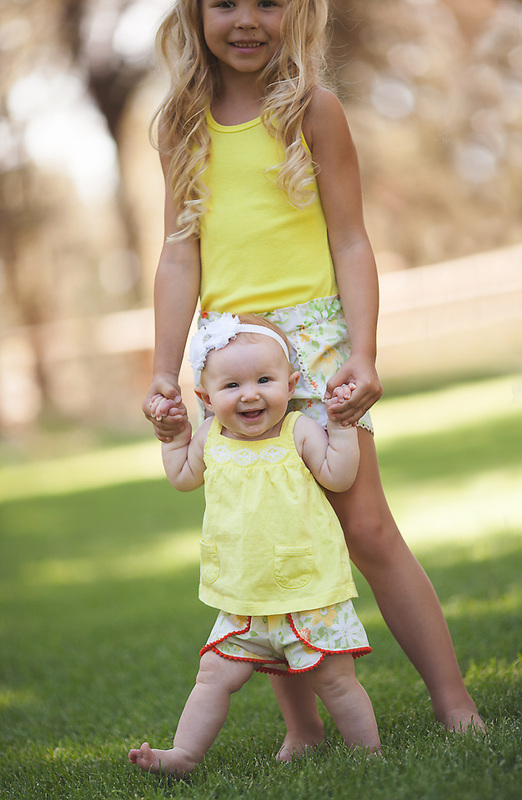 The lovely models you see here are my nieces Brooke (5), Brie (2.5), and my daughter Evelyn Julia (6 mo.). They all loved their shorts and I know for a fact that Brooke wore them to bed and possibly the next day as well. My sister (who is also the talented photographer) may have had to peel them off of her. They were a hit. Every person that saw the girls in their shorts wanted to know where the can get a pair for their own. Run don’t walk to Striped Swallow Designs to get a copy of Coachella Shorts pattern. It’s sure to be hit for you as well. Not only can you sew, but you are a fantastic writer too! I love your page and think your models are beyond gorgeous!! Those shorts are sure to be a hit.. No fought about it! Thanks Gramma D! You may be a little biased though. Haha! Just LOVE THIS!! Jennifer, you have done a great job!! Welcome to the blogosphere! You hit it out of the ballpark with your first post. Love the pics and the shorts. I may need to find some littles to sew these for. Great job Jennifer. I love the shorts. Do you think with my limited “gymbag” type of abilities that I could make these shorts? I have so much beautiful fabric and only minimal experience and talent. Alicia I Really think you could make these shorts. I would recommend these for all skill levels. I know you could do it and I am happy to offer any help along the way. You know my number. Nice job Jennifer! Cute shorts! You are so extremely talented. And tell your sister she did a great job with the photography. Good luck with the blog! You’re going to do great! congrats on the new blog! blogging is such a happy part of my life, I hope you will enjoy it too! :) your shorts are perfetcion and so are your sister’s photo! talent seems to run in the family!! I now follow your blog and hope to see more sewing posts soon!! Thank you Sophie! I really think I am going to enjoy having this as a part of my life. I’ve been pondering and thinking about it for probably two years. I’m just glad that I finally got up the courage and determination to get it going. Still so much to learn but I’m looking forward to it. Oh man.. This made me cry too..